Posted January 14th, 2018 by Mike Boyes & filed under Consciousness, Human Development, Motivation-Emotion, Stress Coping - Health, Stress: Coping Reducing, Student Success, The Self. Description: I wrote in general terms about Emotional Intelligence ort EQ in the two blogs before this one (http://wileypsychologyupdates.ca/general-psychology/eq-what-is-it-should-you-get-more/ and http://wileypsychologyupdates.ca/human-development/will-eq-make-you-rich-or-at-least-get-you-better-payed/ ). In addition to a plethora of claims about the potential positive impact of EQ on one’s career success (previous post) there are also many claims that EQ is strongly positively related to life satisfaction and happiness. The article linked below looks directly at this question and tries to go beyond simply searching for a correlational relationship between happiness and EQ but instead looks at how that relationship, if one exists, actually works. Before reading the article think about your hypothesis regarding how EQ and happiness might be linked. What other factors should be considered? Source: Szczygieł, D., & Mikolajczak, M. (2017). Why are people high in emotional intelligence happier? They make the most of their positive emotions. (reference and links below). 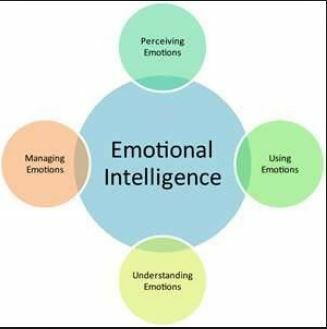 Emotional regulation (which is a part of EQ) plays a BIG role in how we manage our emotions (positive AND negative) and on the impacts, they have upon us. The researchers point out in the linked article that EQ seems to be related to life satisfaction and life happiness through the differential use of savoring (enjoying) and dampening (suppressing) our emotional experiences. the bottom line seems to be that high EQ people make the most of their positive emotions by acknowledging them and savoring them and, as a result, reap the related rewards of higher life satisfaction and happiness. What processes or practices mediate the relationship between EQ and life satisfaction and happiness? What are some of the practical (life optimization) implications of these results?